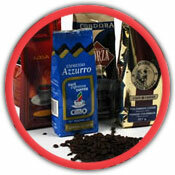 Are you looking for coffee Packaging? 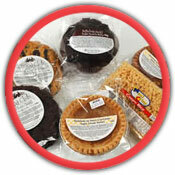 Are you looking for cookie packaging? Please let this letter serve as a reference that maxill inc. is more than very happy with the recent acquisition of an Artypac horizontal wrapper. Read more...Our production workers find the machines to be very simple to use, setup, trouble shoot and to maintain. I cannot honestly think of anything negative about the machines. They are simply great. I wish you and your staff the best in your continued success. This letter confirms that we have been using Artypac Arty 80 vertical form, fill and seal equipment since February 2001. Read more...Throughout our dealings with Arytpac, we have found and continue to find them an excellent supplier. They provide thorough after sales service both off and on site. Northern Technologies considers them as a key supplier to our production facility. We have never been disappointed with their capabilities. I will be more than happy to discuss their performance should you wish to do so. I have owned an Artypac form fill and seal machine for a year now and still cannot believe how simple it is to operate. With in an hour of operation I can leave a new employee with this machine. Read more...When the Arty80v was first installed, Artypac visited my plant several times to insure a smooth transition. Since then,I have had rarely the need for Artypac's superior customers service. I would recommend Artypac's packaging equipment to anyone. It occurred to me this week that we've had our Artypac coffee packaging machine for five years now, day in and day out it has performed it's many tasks flawlessly. Read more...The very few times we have needed service, Artypac was right there to deliver. We here are Optimum Nutrition purchased your ARTYBAND machine about 2 years ago and we could not be more delighted with its performance. Read more...We would recommend this device, or any others that ARTYPAC makes to all companies out there that want high quality first class, & superior equipment. I’d like to - once again - compliment you and your group for a great product (Arty Band). Read more...I’d recommend your equipment to anyone. Thank you Antonio and to your team for building us such a fine machine. Read more...Yesterday and today we started running 6000 Cookies and 6,000 various Sandwich’s and it was a beautiful site. Everything ran quote excellent. Beyond my best expectations. This is to let you know that we are extremely happy with your ARTY80V form, fill and seal machine with the Yamato scale combinations. Read more...We were really impressed with the level of service you provided for our total bagging solution. Please let this letter serve as a reference that maxill inc. is more than very happy with the recent acquisition of an Artypac horizontal wrapper. Our production workers find the machines to be very simple to use, setup, trouble shoot and to maintain. I cannot honestly think of anything negative about the machines. They are simply great. This letter confirms that we have been using Artypac Arty 80 vertical form, fill and seal equipment since February 2001. Throughout our dealings with Arytpac, we have found and continue to find them an excellent supplier. They provide thorough after sales service both off and on site. Northern Technologies considers them as a key supplier to our production facility. I have owned an Artypac form fill and seal machine for a year now and still cannot believe how simple it is to operate. With in an hour of operation I can leave a new employee with this machine. When the Arty80v was first installed, Artypac visited my plant several times to insure a smooth transition. Since then,I have had rarely the need for Artypac's superior customers service. It occurred to me this week that we've had our Artypac coffee packaging machine for five years now, day in and day out it has performed it's many tasks flawlessly. The very few times we have needed service, Artypac was right there to deliver. We here are Optimum Nutrition purchased your ARTYBAND machine about 2 years ago and we could not be more delighted with its performance. We would recommend this device, or any others that ARTYPAC makes to all companies out there that want high quality first class, & superior equipment. I’d like to - once again - compliment you and your group for a great product (Arty Band) and for the fantastic support. I’d recommend your equipment to anyone. Thank you Antonio and to your team for building us such a fine machine. Yesterday and today we started running 6000 Cookies and 6,000 various Sandwich’s and it was a beautiful site. This is to let you know that we are extremely happy with your ARTY80V form, fill and seal machine with the Yamato scale combinations. We were really impressed with the level of service you provided for our total bagging solution.